The Music Genius A.R. 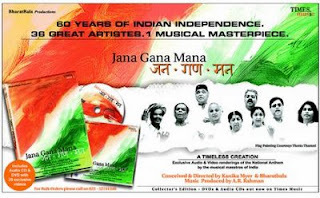 Rahman has launched the "Jana Gana Mana" album to memorize the 60th anniversary of India’s independence. All may be aware that the master, for the golden 50th Independence celebrations, had released a patriotic album “Vande Mataram”.